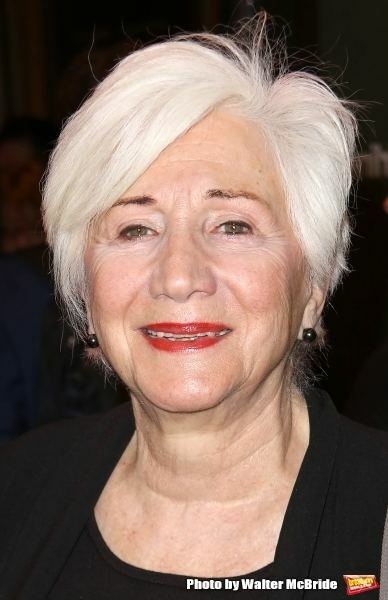 Born June 20, 1931 (age 84) (1931-06-20) Lowell, Massachusetts, U.S.
Olympia Dukakis (born June 20, 1931) is an American actress. 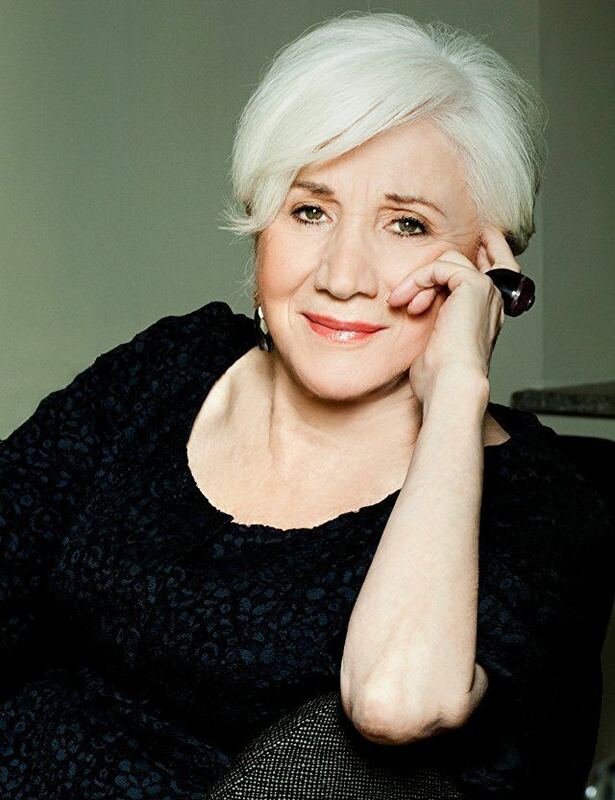 She started her career in theater, and won an Obie Award for Best Actress in 1963 for her Off-Broadway performance in Bertolt Brecht's Man Equals Man. She later transitioned to film acting and in 1987 she won an Academy Award, a Golden Globe, and a BAFTA nomination for her performance in Moonstruck. She received another Golden Globe nomination for Sinatra, and an Emmy Award nominations for Lucky Day, More Tales of the City and Joan of Arc. Dukakis was born in Lowell, Massachusetts, the daughter of Alexandra (née Christos) and Constantine S. Dukakis. Her parents were Greek emigrants, her father originally from Anatolia and her mother from the Peloponnese. She has a brother named Apollo and is a cousin of Michael Dukakis, former Governor of Massachusetts and the Democratic nominee for President in 1988, for whom she was a delegate from New Jersey at the 1988 Democratic National Convention. She is an alumna of Arlington High School in Arlington, Massachusetts, and was educated at Boston University. 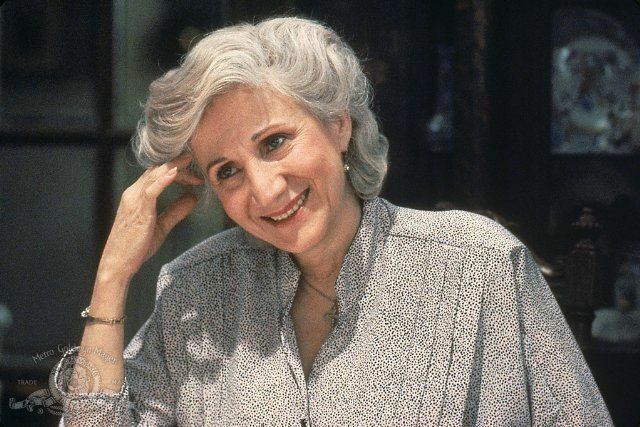 Dukakis has appeared in a number of films, including Steel Magnolias, Mr. Holland's Opus, Jane Austen's Mafia!, The Thing About My Folks, and Moonstruck, for which she won an Oscar for Best Supporting Actress. She also played the role of Anna Madrigal in the Tales of the City television mini-series, which garnered her an Emmy Award nomination, and appeared on Search for Tomorrow as Dr. Barbara Moreno, who romanced Stu Bergman. She appears as Dolly Sinatra in the mini-series of Frank Sinatra's life (1992). Her Broadway theatre credits include Who's Who in Hell, Social Security, and the one-woman play Rose. 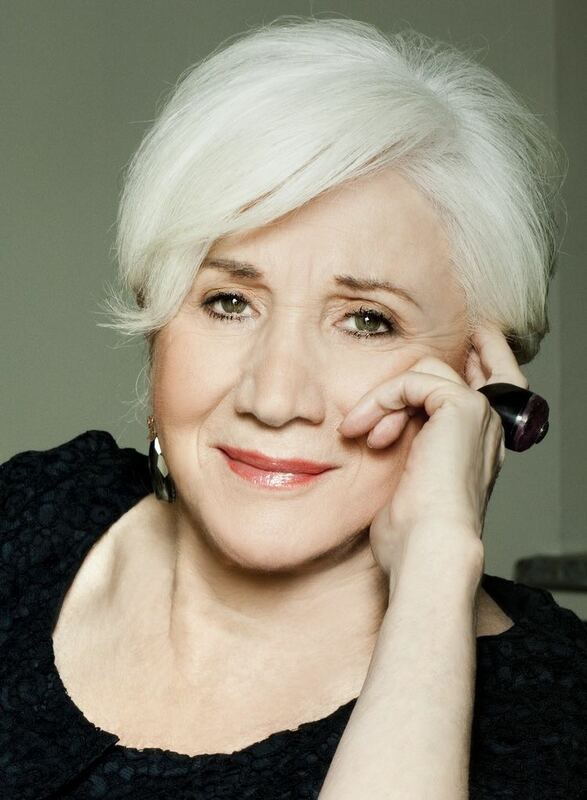 Her theater, film, and television work has also won her an Obie Award, a Drama Desk Award, a Los Angeles Drama Critics Circle Award, and a Golden Globe. Dukakis won Academy Award and a Golden Globe for Moonstruck and was nominated for the Canadian Academy Award for The Event. She provided the voice of Grandpa's love interest for The Simpsons episode "The Old Man and the Key". In 2003, Dukakis published her national bestselling autobiography Ask Me Again Tomorrow: A Life in Progress. Recent films include 3 Needles, The Librarian: Return to King Solomon's Mines, In the Land of Women, and Away From Her, the 2006 film which cast her alongside Gordon Pinsent as the spouses of two Alzheimers patients. In 1998, she starred as Charlotte Kiszko in the British TV drama A Life for a Life (ITV), based on the real-life story of Stefan Kiszko, a man wrongfully imprisoned for seventeen years for the murder of a child, Lesley Molseed, after police suppressed evidence of his innocence. She recently directed the world premiere production of Todd Logan's Botanic Garden at Victory Gardens Theatre in Chicago, Illinois. In the 2008 season of Hartford Stage, Dukakis starred in the revival of Tennessee Williams' The Milk Train Doesn't Stop Here Anymore, opposite Kevin Anderson. In 2008, Dukakis also co-adapted and starred in the world-premiere of Another Side of the Island, based on Shakespeare's The Tempest, at Alpine Theatre Project in Whitefish, Montana. She starred in and executive-produced the 2013 film Montana Amazon, co-starring Haley Joel Osment. In 2011, Dukakis guest-starred on Law & Order: Special Victims Unit. She played the role of Debby Marsh, an attorney. On May 24, 2013, she was honored with the 2,498th star on the Hollywood Walk of Fame located at 6233 Hollywood Boulevard, in the category of Live Theater. Dukakis has been married to actor Louis Zorich since 1962. They have three children.